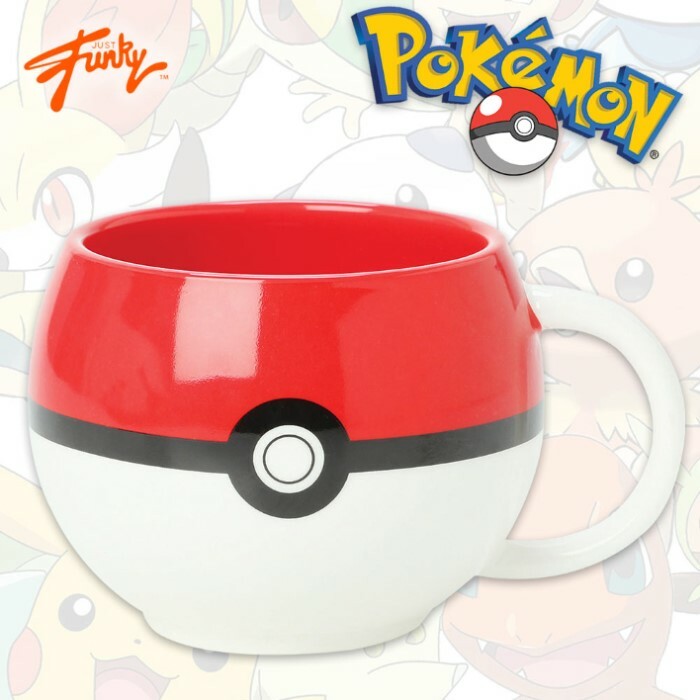 Unlike the real thing, Pikachu or Charizard won’t emerge from this Pokeball-styled Mug, ready to clash with another Pokemon in a thrilling gym battle; but something just as good will – hot, fresh coffee (or whatever beverage you choose to fill it with)! A few sips of joe from this 11-oz. 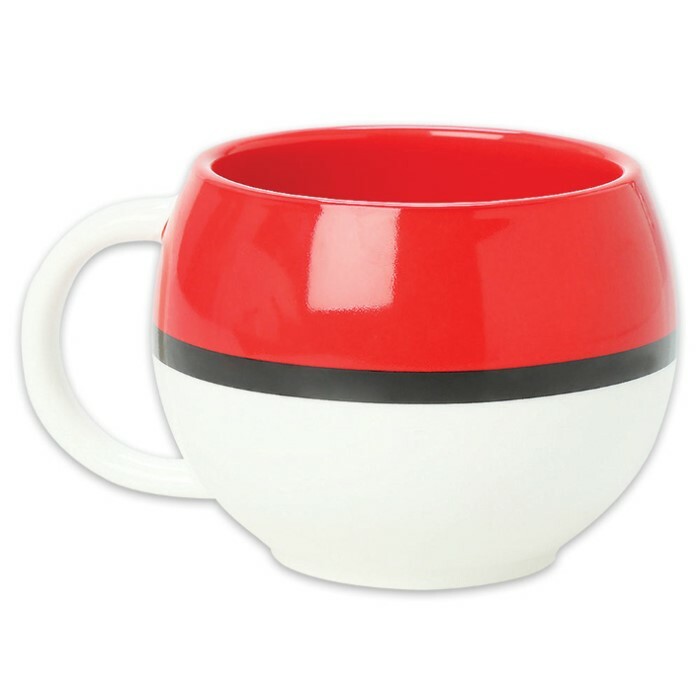 mug, and you’ll be ready for your own gym battle! This mug from Just Funky features full, vibrant colors and high-quality ceramic construction. 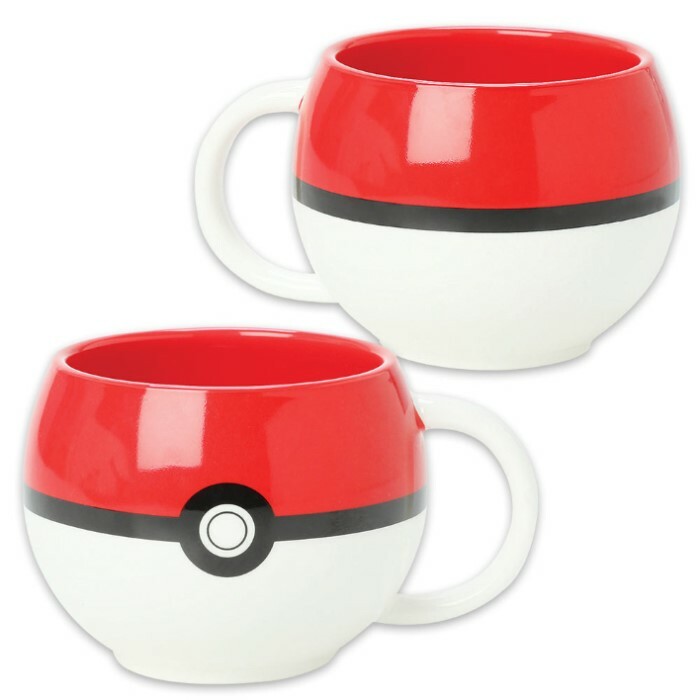 Makes a terrific gift for Pokemon fans or anyone who likes to drink coffee, tea, hot cider or cocoa. Get two - one for drinking and one to display with your Pokemon collectibles!